This story originally appeared on July 24, 2013. 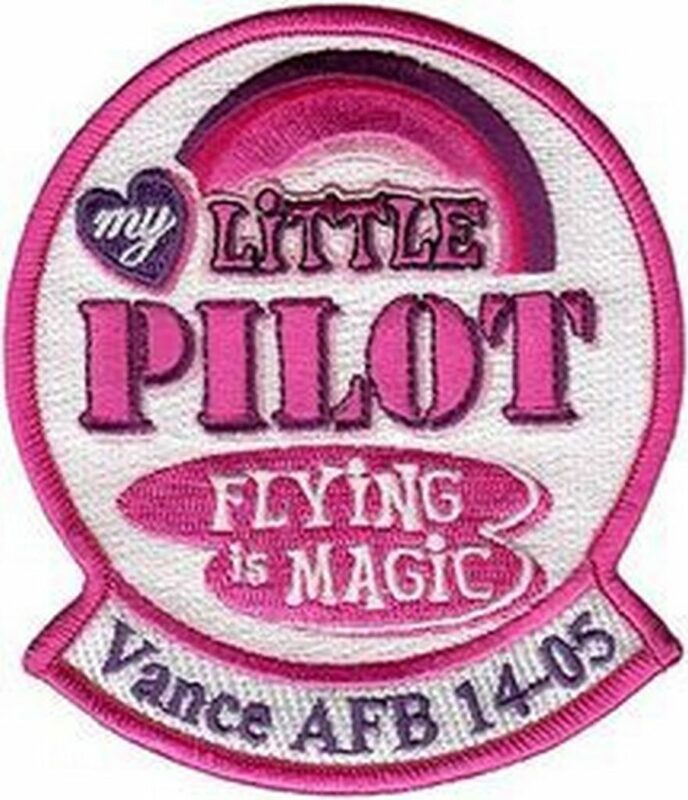 In July 2014, word hit the Internet that an Air Force unit training to fly America’s most advanced military aircraft are wearing a patch inspired by the television show My Little Pony: Friendship is Magic. Now the Air Force has confirmed it. Bronies are flying jets. The pink and purple patch — first spotted by My Little Pony fan site Equestria Daily — and worn by 24 flight students from Joint Undergraduate Specialized Pilot Class 14-05, references the cable cartoon show about a team of magical ponies. Although criticized by some as a cynical bid to get children to purchase plastic pony products (it’s a reboot from the 1980s), the show — which airs weekday afternoons on the Hub Network — became a cult phenomenon that’s now spread to the armed forces. My Little Pony is also perhaps one of the most talked about subjects on the Internet, with a fourth season on the way, a myriad of conventions, a Reddit presence containing dozens of subforums, and thousands of memes. It’s also controversial. My Little Pony is not just popular with its target audience — young girls and their parents — but has an avid following among adult males known by the portmanteau of bro and ponies: bronies. A Facebook group for military bronies exists. But this appears to be the first brony unit in the military. Vance Air Force Base is one of the four U.S. training centers where commissioned officers become professional pilots. Typically, it works like this. First, a unit completes 24 days of academics, and then trains for 90 days on the T-6A Texan II training plane. Next, the class splits into two sections, or “tracks,” for 38 weeks of training on a more specialized plane. The Air Force is also no different from the other branches in terms of tradition. When a group of student pilots — known as a JSUPT — begins training at Vance, they pick a class patch. This patch is an esprit de corps, meant to bond the group in a spirit of camaraderie. And in order for a JSUPT class to get a patch, they submit a number of designs to the brass. Many of the patches submitted include pop culture references. The Hangover, Facebook and the “Got Milk” ad campaign have all been adopted in the past. Because of this, the Air Force has to seek approval from the copyright holders. Sometimes the holders approve it. Sometimes they don’t. My Little Pony and the Hub Network’s parent company, Hasbro, approved. The other patch designs submitted by the 14-05 didn’t get cleared. But the humor of a group of Air Force students training with My Little Pony patches aside, it’s actually quite fitting. The show makes no bones about the magical power of comradeship among a group of elite, flying ponies — friendship is ultimately the only way to beat the bad guys in every episode. The Air Force seems to have welcomed it. “They have embraced the irony and humor of the patch and in so doing have fostered closer ties with each other,” Barger added. Though it was a fluke, the student pilots of the 14-05 could not be wearing a more appropriate patch.